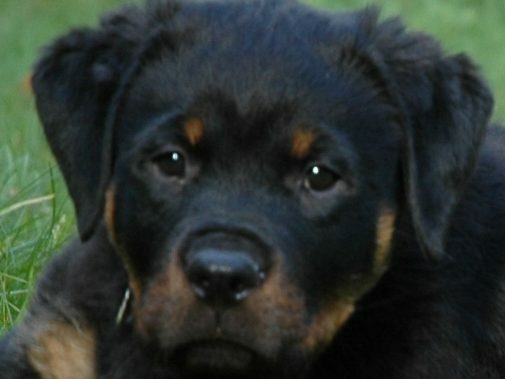 Debeau Rottweilers – We produce Happy Healthy Puppies – for work, show, or play! We produce Happy Healthy Puppies – for work, show, or play! We are here to find you the perfect puppy. If you’d like to learn more, let’s get started. We are proud members of the Rottweiler Club of Canada (RCC), the United States Rottweiler Club (USRC), the German Shepherd Shutzhund Club of Canada (GSSCC), the Nanaimo Kennel Club (NKC), the Canadian Kennel Club (CKC), the Allegemeiner Hundesport Klub (DVG), and Mid-Island Dog Sport group. If you’re looking to add a new four-pawed member to your family, or if you’re looking for a competition obedience/IPO puppy or a conformation prospect – contact us. All puppies are registered with the CKC, raised in our home, have a two-year written health warranty, a vet health check, vaccinations, aptitude/temperament evaluation, conformation evaluation, and we start their training at 3 weeks of age! We offer affordable training services – specializing in behavior modification, pet manners, puppy foundation development, and motivational training – whether you’re preparing for obedience trials, IPO, or just want a well behaved companion, call us for a training consultation.